ESPN.com just published a story called "Wizards' Paul Pierce speaks the truth." And while it's a very fitting title for the piece, we probably would have gone with something slightly different. 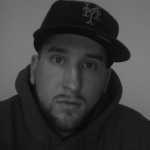 Something like—hmmm...—"PAUL PIERCE HATES EVERYONE, INCLUDING DERON WILLIAMS, RAY ALLEN, LEBRON JAMES, AND SOME OF HIS OWN TEAMMATES!!!" Yeah, that pretty much sums it up. We don't know if ESPN.com just caught Pierce on a bad day or what. But The Truth kept it 100 with them and talked trash about a number of current and former NBA players during the interview. From a couple guys he used to play with in Brooklyn to a few guys who are on his team now, Pierce didn't hold back. At all. 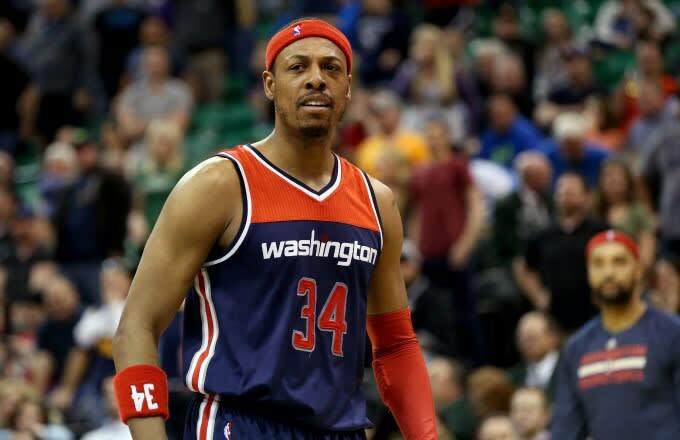 Here are 8 NBA Players Who Just Got Called Out by Paul Pierce. Sounds like he's done making friends in the NBA, eh?